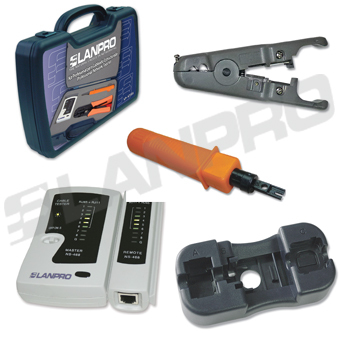 LanPro offers a useful set of tools especially adapted to installation and network maintenance. Its precision, strength, ergonomics, durability, and affordable price allow the field and laboratory technician to have the appropriate tool for the required application, so he can do his job in a fast, accurate and clean manner. LanPro make an effort to keep this offer up-to-date and in compliance with the technologies that are part of its wide variety of products for network implementation.